Believe it or not, but streaming services have entirely changed the way we all consume media. Some people might be skeptical about the advantages offered by online streaming, but the level of adoption is a clear evidence to the success it has achieved. And the crown for Best Video Streaming Service goes to undoubtedly, Netflix! It’s one of the ideal platforms for entertainment buffs. It not only showcases 1000+ great TV series and shows around the globe, but also produces its own content exclusively for their platform. Certainly, you can stream Netflix on your phone, PC, or tablet. But to fully enjoy it especially along with your favorite people you might need the biggest screen available- Your TV! So, here’s a simple guide on ‘How To Watch Netflix On TV’! How To Watch Netflix On TV? 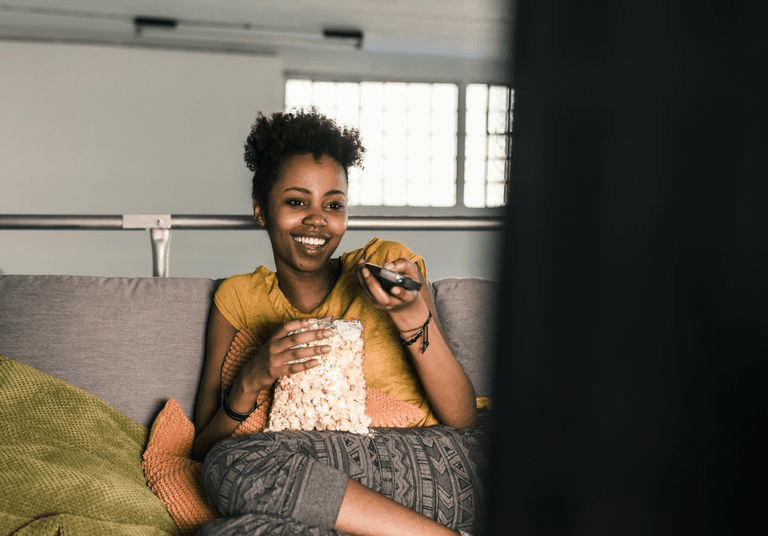 Most service providers have now integrated Netflix into their set-top boxes, so that users can stream content directly to TV. But there are certain requisites one needs to follow for setting up Netflix on Television. Access to the Internet with strong connection or at least with a 5 MBPS connection. Once you’ve got all that stuff squared away, learn how to stream Netflix on your TV! STEP 1- Connect your laptop to your TV via HDMI cable. Unless your TV is very old, it should have two or three HDMI ports on the back. STEP 2- Hook the HDMI cable up to your TV & connect the other end to your laptop. STEP 3- Adjust the input on your TV to HDMI 1, 2 or 3 depending upon which port you attached the HDMI cable into. STEP 4- Once you’re done connecting the right input. Your TV would recognize the connection & your laptop screen would automatically be mirrored on your TV screen. STEP 5- There you go. Launch web browser or Netflix app on your laptop to watch movies and TV shows on a bigger screen. As a final note, just be sure that you’re running the updated audio/video device drivers on your system, so that you don’t face any sound or display issues. To check you don’t have any outdated device drivers, use Advanced Driver Updater that simply scans your system for obsolete, missing & damaged drivers & updates them for peak performance.